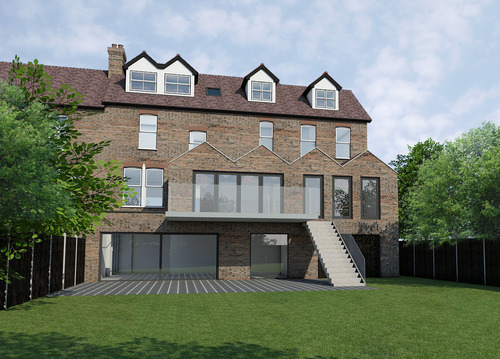 Planning has been approved for a rear extension with basement conversion in Upminster, Essex. The extreme site levels enabled us to exploit and enhance the clients aspect over their garden and to the views beyond. A roof gable was used as a motif to create a low impact roof-line as well as providing north-facing roof lights above the new kitchen space.